“IoT rests on three pillars: connectivity, data and security. If one is missing, the IoT ecosystem is interrupted and value is impossible to extract. In fact, individually each is a showstopper for IoT”, writes George Malim, the managing editor of IoT Now. The topics of connectivity and data are relatively well understood for IoT. Networking and IT industries have created mature marketplaces for data handling, management and analytics and for various connectivity options and each has invested substantially in developing network security and data security. However, security for IoT lies within a fragmented, non-standardised ecosystem composed of several points at which data is handed over. Each of these represents a potential point of security failure and the smart devices that are at the edge of IoT are, in themselves, points of threat if they are hacked. The PTC whitepaper, Protecting Smart Devices and Applications Throughout the IoT Ecosystem, explores these issues and assesses how IoT can be secured in the absence of human supervision, which would be impossible for deployments across thousands of devices. Although many have concerns that high profile breaches will happen, it’s extremely important that the IoT industry does not get held back by security fears. It’s vital for organisations to do their utmost to set up IoT in a secure way and to plan for future eventualities. This will necessitate new techniques that are not just a merger of IT and network security, but are specifically designed to mitigate the threats to IoT that are part of its expanded threat surface. Nobody wants to hear of medical IoT devices being hacked or child safety being threatened as a consequence of an IoT security breach, so the stakes are high. Nevertheless, secure solutions exist that must be deployed with care and consideration to avoid the disaster headlines that could stifle IoT’s further development. 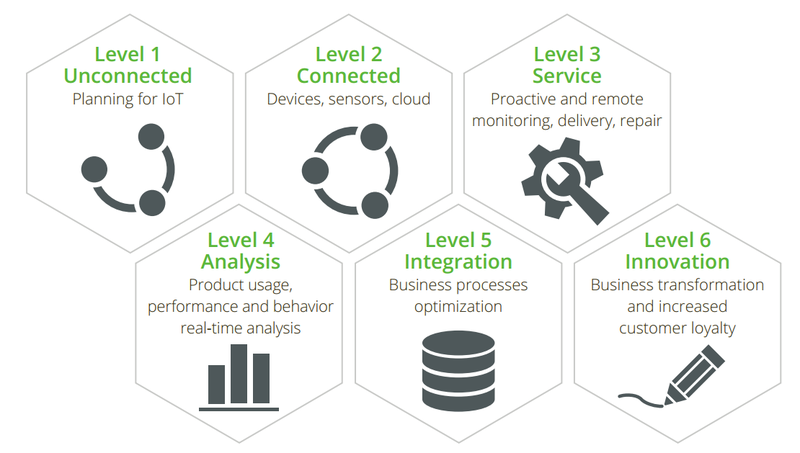 These steps present a useful guide to assess where in the IoT journey your organisation is currently and where you would like to go next. There is an inextricable link between foundational technology elements (connectivity, data and security) and an organisations’ ability to progress through these steps. Complex as it can be, organisations need to address all three elements – connectivity, data and security – simultaneously in order to keep on track and progress into the higher value rewards that IoT can deliver. A fragmented approach that involves excellence in one area and weakness in another is of no advantage. The iotsecuredata.com is brought to you by IoTNow in partnership with a number of IoT specialists. Yes, I'm happy to receive news from IoTNow and their affiliates.